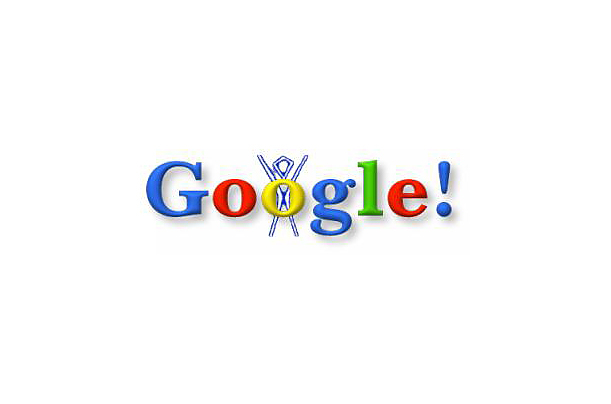 Google's first doodle was a spur of the moment idea by Google founders, Larry Page and Sergey Brin. Today, Google logo doodles, which can be anything from a quick reaction to a news item to the anniversary of a scientific discovery, are so popular that the company hears from hundreds of thousands of users all over the world with suggestions, corrections, or, like one Japanese businessman, with a thanks "for bringing a small smile to my face every single day." Here, Dennis Hwang, Webmaster Manager, and Micheal Lopez, Senior Web Designer, share the stories behind a few notable doodles. "Our first doodle went up when Larry and Sergey were running Google while it was in beta on their own," says Hwang. "It shows the Burning Man symbol, the annual alternative festival, which they like to go to whenever they can. They wanted to let the early Google search engine users know that the site would be running unattended while they were there. So they put this upit's like a fun 'out of office' message." "It was so popular they did one for Thanksgiving. In the early years, it was a controversial thing to do. If you read any kind of corporate marketing or branding textbook, the one thing they tell you is to make your corporate branding consistent no matter what. But Larry and Sergey said, 'Why not? We should have fun with this.' They did it in spite of some resistance within the company."